The line “I’m not sure what else Joey Bishop did” made me laugh for some reason. 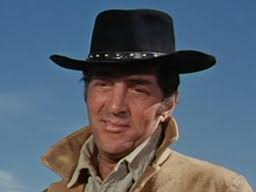 Dean Martin was not a terrible actor, but man, he made a lot of terrible movies. There were some bad ones thrown in there. Sometimes a movie is so bad that it’s good. 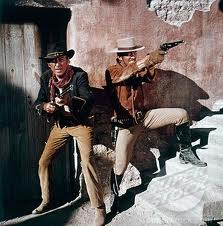 At least, that’s the way I see the Matt Helm films. Sir, wonderful to find ‘nother devote of our most beloved Dino. Never was, never will be anyone as cool as the King of Cool….oh, to return to the days when Dino walked the earth. Know that your reflections are bein’ shrared this day with all the pallies gathered ’round ilovedinomartin. Thanks for reading and for commenting. He was the coolest of the cool. 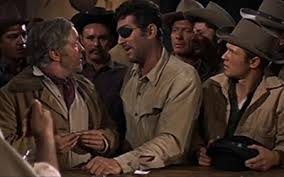 Hi..the trivia question…3 -Dean Martin Ricky Nelson and Walter Brennan had a song…he mostly talked..for the life of me …I can’t remember the name of it..? You are correct. I believe it was Old Rivers. Great music in that movie. Dean, Ricky and Walter all had Number One hits. 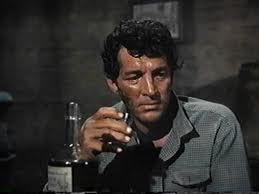 Great actors in great movies – I also like Dean Martin’s music! He could do all kinds of stuff. Act. Sing.Of course, he was great with Jerry Lewis. 3 people had a number one … Brennan, Dean, and Rick. Was was really good in Rio. Yep, those guys had number one records.